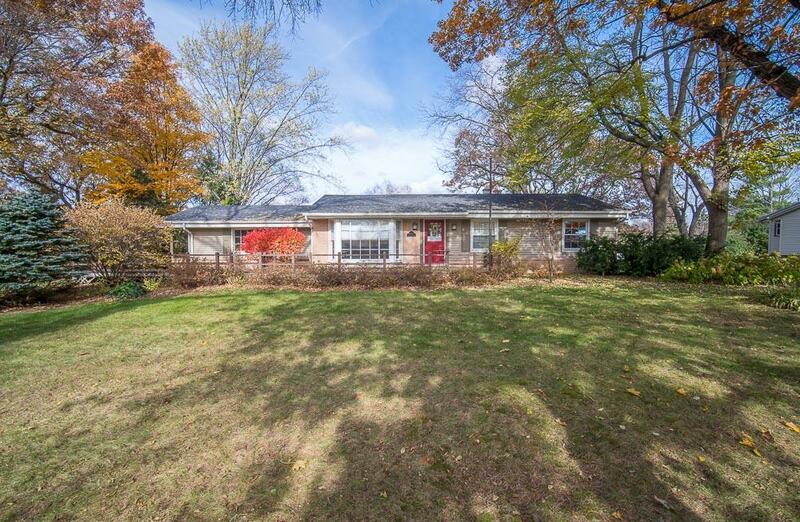 Fantastic Town of Brookfield location is home to this spacious ranch on wooded lot with an abundance of outdoor entertainment space. Walk inside and enjoy open concept living. Enjoy the glow of the family room fireplace while cooking in the well equipped kitchen with breakfast bar. The dining area is adjacent to the family room and open to the large sunroom w/wetbar. In the front of the home you will find a cozy sunlit living room for quieter space. A large master bedroom was converted from 2 smaller bedrooms to give you ample space and dual closets. The second bedroom and 2 full baths finish off this level. In the lower level is a large rec room Use your imagination here for theatre space, game room, guest space etc. Master can be converted back easily if 3 br's are needed.